What is the difference between non-Hodgkin's lymphoma and Hodgkin's disease (or Hodgkin's lymphoma)? What are non-Hodgkin's lymphoma risk factors? What are non-Hodgkin's lymphoma symptoms and signs? What kind of doctors treat non-Hodgkin's lymphoma? How do physicians diagnose non-Hodgkin's lymphoma? What are the types of non-Hodgkin's lymphoma, and how is non-Hodgkin's lymphoma staging determined? What is the treatment for non-Hodgkin's lymphoma? What is the prognosis and survival rate for non-Hodgkin's lymphoma? Is it possible to prevent non-Hodgkin's lymphoma? What is the latest research on non-Hodgkin's lymphoma? Where can people find more information about non-Hodgkin's lymphoma? Non-Hodgkin's lymphoma (NHL) is a cancer that originates in the lymphatic system. NHL actually represents a group of different cancers. Doctors will diagnose over 74,000 people with NHL in 2018, and almost 20,000 people will die of NHL in the United States. There are several subtypes of NHL, each requiring different treatments. The stages of NHL range from 1 to 4. Staging the cancer is important to determine treatment and predict the outcome of treatment. Depending on the stage and type of NHL, treatment can include chemotherapy, biological therapy, stem cell transplant, and/or radiation therapy. Both Hodgkin's disease (sometimes referred to as Hodgkin's lymphoma) and non-Hodgkin's lymphoma are cancers that originate in a type of white blood cell known as a lymphocyte, an important component of the body's immune system. Both of these malignancies may cause similar symptoms, but the conditions themselves are different. The distinction between Hodgkin's disease and non-Hodgkin's lymphoma is made upon examination of the cancerous material (from a biopsy or aspiration of the tumor tissue). The type of abnormal cells identified in the sample determines whether a lymphoma is classified as Hodgkin's disease or non-Hodgkin's lymphoma. Non-Hodgkin's lymphoma is a type of cancer that originates in the cells of the lymphatic and immune systems, such as the blood cells known as lymphocytes and the lymph node tissues. NHL is the sixth most common cancer in the United States. Another type of lymphatic cancer is Hodgkin's disease, which is a type of lymphoma (cancer of the lymph nodes). NHL represents a group of different cancers that are different from Hodgkin's disease (see below). The lymphatic system is part of the body's immune system and helps fight infections and other diseases. In addition, the lymphatic system filters out bacteria, viruses, and other unwanted substances. Lymph nodes: Lymph vessels connect to small masses of lymph tissue called lymph nodes (small bean-shaped structures). Collections of lymph nodes are in the neck, underarms, chest, abdomen, and groin. Lymph nodes store white blood cells. When you are ill and the lymph nodes are active, they will swell and be easily palpable (a doctor can feel them during an examination). Additional parts of the lymphatic system: The tonsils, thymus, and spleen are additional components of the lymphatic system. Lymphatic tissue is also in other parts of the body, including the stomach, skin, and small intestine. Because lymphatic tissue is found in many parts of the body, non-Hodgkin's lymphoma can start almost anywhere. Both of these cancers are lymphomas, a cancer that begins in lymphocytes. The main difference is which subset of lymphocytes are involved. Doctors can establish this by looking at the cells under a microscope as well as with additional tests to characterize the tumor cells. Distinguishing the type of lymphoma is important because treatment, disease course, and prognosis can be quite different. A microscopic examination can help to distinguish between the two lymphomas. The presence of characteristic cells called Reed-Sternberg cells would indicate a Hodgkin's lymphoma. We don't know what causes non-Hodgkin's lymphoma (NHL). NHL occurs when the body produces too many abnormal lymphocytes. In the normal life cycle of lymphocytes (a type of white blood cell), old lymphocytes die and the body creates new ones to replenish the supply. In NHL, lymphocytes grow indefinitely, so the number of circulating lymphocytes increases, filling up the lymph nodes and causing them to swell. Some diseases or syndromes can increase a person's risk for lymphomas (for example, Wiskott-Aldrich syndrome). In NHL, either B cells or T cells are involved in this process. These are the two subtypes of lymphocytes. B cells produce antibodies that fight infections. This is the most common type of cell involved in NHL (B-cell lymphomas). T cells kill the foreign substances directly. NHL less frequently originates from T cells. A low grade NHL is an indolent form of the disease that progresses very slowly, while high-grade NHL are more likely to grow quickly (sometimes also referred to as aggressive lymphoma). Burkitt's lymphoma: This lymphoma has two major subtypes: an African type closely associated with an infection with the Epstein-Barr virus and the non-African, or sporadic, form that is not linked to the virus. Cutaneous lymphoma: This form of lymphoma involves the skin and can be classified as T-cell lymphoma or (less commonly) B-cell lymphoma. Cutaneous T-cell lymphoma makes up 4% of NHL cases. Diffuse large B-cell lymphoma: This represents the most common lymphoma (approximately 30% of NHL) and can be rapidly fatal if not treated. Follicular lymphoma: These lymphomas exhibit a specific growth pattern when viewed under the microscope (follicular or nodular pattern); they are usually advanced at the time of diagnosis. Lymphoblastic lymphoma: This is a rare form of lymphoma that accounts for about 2% of cases of NHL. MALT (mucosa-associated lymphoid tissue) lymphoma: This is a B-cell lymphoma that usually affects individuals in their 60s. The most common area for this lymphoma to develop is the stomach. Mantle cell lymphoma: One of the rarest of the NHL, mantle cell lymphoma accounts for about 6% of cases. This NHL is difficult to treat and is a subtype of B-cell lymphoma. Adult T-cell lymphoma/leukemia: This is a rare but aggressive NHL of the immune system's T cells. Human T-cell leukemia/lymphotropic virus type (HTLV-1) is the cause of this form of T-cell lymphoma. Waldenström's macroglobulinemia: This is a rare and slow growing form of NHL. Anaplastic large cell lymphoma: This is a rare type of NHL and a subtype of T-cell lymphoma. In many cases, people who develop NHL have no risk factors, and doctors seldom know why one person develops non-Hodgkin's lymphoma and another does not. Medications that suppress the immune system: Using immunosuppressive agents (such as after an organ transplant) is a risk factor as it reduces the body's ability to fight infection. Weakened immune system: Having a weakened immune system increases the risk of developing lymphoma. Certain infections: Certain viral and bacterial infections increase the risk of NHL. Examples are HIV, hepatitis C virus, and Epstein-Barr virus. A type of bacteria sometimes linked to NHL is the ulcer-causing bacteria Helicobacter pylori (H. pylori). Certain diseases: Having particular autoimmune diseases and/or type 2 diabetes increase one's risk of developing NHL. Note: Lymphoma is not contagious. It's impossible to catch lymphoma from another person. Age: Although non-Hodgkin's lymphoma can occur in young people, the chance of developing this disease increases with age. Most people with non-Hodgkin's lymphoma are older than 60 years of age. Other possible links: People who work with herbicides or certain other chemicals may be at increased risk of this disease. Researchers are also looking at a possible link between using hair dyes before 1980 and non-Hodgkin's lymphoma. None of these possible links have definitely been proven. Note: Having one or more risk factors does not mean that a person will develop non-Hodgkin's lymphoma. Most people who have risk factors never develop cancer. Blood cancer specialists (hematologists/oncologists) are the physician specialists who treat lymphomas. They can be part of a larger health care team that coordinates your care. Physical exam: A doctor will complete a physical examination with a special emphasis on palpating the lymph nodes in the neck, underarms, and groin and establishing if they are swollen. He or she will also try to find out if there is swelling in the spleen or liver. In most cases, swollen lymph nodes are signs of infection (rather than lymphoma), and a doctor will try to establish if there are any other signs of infection and what the source of the infection could be. Medical history: A doctor will ask questions concerning one's past medical history and about risk factors for NHL. Blood tests: Doctors perform a complete blood count (CBC) to check the number of white blood cells. Additional tests might include a lactate dehydrogenase level (can be elevated in lymphoma). A physician may perform additional tests to rule out an infection causing the swollen lymph nodes. Imaging procedures: A chest X-ray or CT scan of the chest or neck might help detect the presence of tumors or more enlarged lymph nodes. Positron emission tomography (PET) scanning is a newer modality to help detect NHL. Biopsy: A doctor might recommend a biopsy of lymph nodes to diagnose the cause of the swelling. A pathologist will review the samples under the microscope and establish a diagnosis. There are three ways to diagnose a lymph node: removal of the entire lymph node (excisional biopsy); partial removal of a lymph node (incisional biopsy); fine-needle aspiration (using a thin needle to remove some lymph node tissue) is often not diagnostic as not enough tissue is removed for the pathologist to make a diagnosis. Bone marrow biopsy: A bone marrow biopsy can establish the spread of the disease. This involves the insertion of a needle into bone to obtain bone marrow. In adults, the most common site for this biopsy is the pelvic bone. There are many different types of NHL classifications. Several classification systems exist for NHL, including the Revised European American Lymphoma Classification, which is the foundation for the WHO lymphoma classification. The classifications use cell types and defining other characteristics. There are three large groups: the B cell, T cell, and natural killer cell tumors. Newer techniques such as immunophenotyping (a way to study the proteins on a cell and identify the precise types of B or T cells that are involved) diagnose and classify lymphomas. This technique is especially useful in the case of B-cell lymphomas. Testing of DNA from the lymphoma detects gene defects that help determine the prognosis and response to treatment. To plan the best treatment for NHL, a health care provider needs to stage (know the extent of) the disease. This is an attempt to find out what part of the body is involved. PET scan: A health care professional injects radioactive material, and a CT scan is performed to determine the metabolism of this material. Lymphoma cells show faster metabolism than normal cells, and areas with lymphoma look brighter on the pictures. Stage I: The cells are found in only one lymph node area (such as in the neck or axilla). Or, if the abnormal cells are not in the lymph nodes, they are in only one part of a tissue or organ (such as the lung, but not the liver or bone marrow). Stage II: A physician finds lymphoma cells in at least two lymph node areas on the same side of the body or only above or below the diaphragm. Or the cells are in one organ and the lymph nodes affected are near that organ. Stage III: The lymphoma is in lymph nodes above and below the diaphragm. The lymphoma may spread into an organ near this lymph node group. Stage IV: In addition to lymph cell spread, doctors find lymphoma cells in several parts of one or more organs or tissues. A doctor will usually refer a patient to an oncologist for evaluation and treatment. Some large academic medical centers have oncologists who specialize in lymphomas. If one has a slow-growing non-Hodgkin's lymphoma without symptoms, one may not require treatment for the cancer right away. A health care team closely watches the individual. These cancers might not require treatment for years, although close follow-up is necessary. If the indolent lymphoma produces symptoms, therapy will usually consist of chemotherapy and biological therapy. Stage I and II often require radiation therapy. A combination of chemotherapy, biological therapy, and sometimes radiation therapy may be necessary for an aggressive type of lymphoma. Chemotherapy: Health care professionals administer this drug treatment either as an injection or oral form that kills cancer cells. This treatment can involve one medication or multiple medications, and health care professionals may give it alone or in conjunction with other therapies. This therapy is given in cycles, alternating treatment periods and non-treatment periods. The repetition of these cycles and the number of cycles will be determined by an oncologist based on the staging of the cancer and the medications used. Chemotherapy also harms normal cells that divide rapidly. This can lead to hair loss, GI symptoms, and difficulty with the immune system. 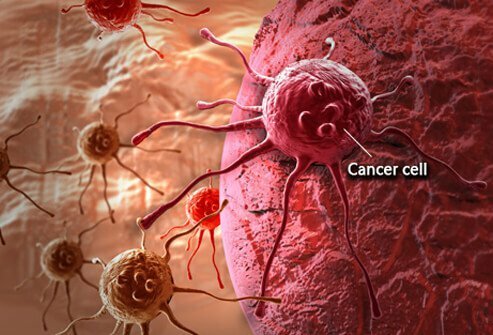 Radiation therapy: High doses of radiation kill cancer cells and shrink tumors. Health care professionals use this modality alone or in conjunction with other therapies. Side effects usually depend on the type and dosage of the therapy as well as the area undergoing radiation therapy. Universally, patients tend to get tired during radiation therapy, especially toward the later stages of treatment. Stem cell transplant: This procedure allows a patient to receive large doses of chemotherapy or radiation therapy to kill the lymphoma cells that might survive standard levels of therapy. Physicians use this therapy if the lymphoma returns after treatment. For this therapy, one needs to be admitted to the hospital. After the therapy, a doctor injects healthy stem cells (that were either taken from you before the therapy or from a donor) to form a new immune system. Biological drugs: These medications enhance the immune system's ability to fight cancers. Monoclonal antibodies treat NHL. Health care professionals administer the therapy via an IV, and the monoclonal antibodies bind to the cancer cells and augment the immune system's ability to destroy cancer cells. Rituximab (Rituxan) is such a drug used in the treatment of B-cell lymphoma. Side effects for this treatment are usually flu-like symptoms. Rarely, a person can have a severe reaction, including a drop in blood pressure or difficulty breathing. R-CHOP therapy or regimen is an example of a common regimen used to treat NHL. It involves a combination of chemotherapy and biological therapy drugs (rituximab; cyclophosphamide; doxorubicin hydrochloride; vincristine sulfate) and prednisone. Radio immunotherapy medications: These are made of monoclonal antibodies that transport radioactive materials directly to cancer cells. Because the radioactive material is traveling and binding directly to the cancer cell, the cancer cell absorbs more radiation. Ibritumomab (Zevalin) and tositumomab (Bexxar) are two drugs approved for this use in lymphomas. Side effects usually include getting very tired or experiencing flu-like symptoms. In addition to medical therapies, patients will also require supportive care. One should have the opportunity to learn about the disease and the treatment options and discuss this with a care team. Most cancer centers will have support groups where one can share concerns with other patients and learn from their experiences. Some patients find moderate physical activity helpful. Discuss with a doctor what kind of activities are appropriate. Eating the appropriate amounts of foods, as well as the right foods, is an important part of treatment. Speaking with a nutritionist can be very helpful. In addition, researchers linked vitamin deficiencies (especially vitamin D) to worse survival in some subgroups of cancer patients. Patients should discuss their nutritional requirements with their health care team. Appropriate caloric intake is important especially if nausea is present due to your treatments. Some people find that exercise can help their nausea during therapy. Acupuncture has also shown to decrease the side effects of cancer treatments. The prognosis of NHL can be good but depends on the type of lymphoma, the extent of spread (staging), and response to therapy. A health care provider will discuss the prognosis with the patient. The overall five-year survival rate for people with NHL is 71%, while the overall 10-year survival rate is 60%. Five-year survival is a measure used to predict and gauge the severity of the cancer. Patients should discuss risk factors, staging, and classifications with their health care team as none of these numbers apply to an individual patient without considering all the circumstances of the patient's illness. Most people with non-Hodgkin's lymphoma have no identifiable risk factors. This makes it difficult to prevent the disease. Most known causes of lymphoma are difficult to avoid, such as medications that suppress the immune system, as they are usually life-saving medications needed for other reasons. Early detection of the disease: This work is looking at DNA changes in lymphoma and how to test for these changes. Prevention: Studies are under way to examine what causes normal lymphocytes to develop into lymphoma cells and how to prevent this. Treatment: Better treatment modalities and protocols are always being tested. Chemotherapy: Newer drugs and protocols for administration are being studied in clinical trials at many different medical centers. Other therapies are being developed and/or further advanced such as new, improving bone marrow and stem cell transplant methods as well as advances in the development and use of monoclonal antibody therapies and targeted therapies. The use of specifically designed vaccines to treat (not prevent) lymphomas. United States. National Cancer Institute. "Adult Non-Hodgkin Lymphoma Treatment (PDQ) -- Patient Version." Dec. 9, 2016. <http://www.cancer.gov/types/lymphoma/patient/adult-nhl-treatment-pdq>. Please describe your experience with non-Hodgkin's lymphoma. What treatments were effective for your non-Hodgkin's lymphoma? What symptoms of non-Hodgkin's lymphoma did you experience when you were diagnosed? What's the prognosis of your non-Hodgkin's lymphoma?